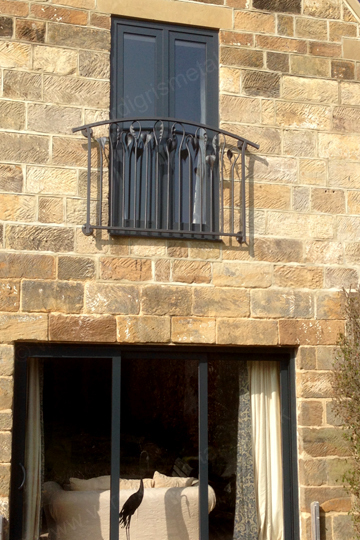 This contemporary metal balustrade for a Juliet balcony was designed to meet building regulations re the "100mm gap". 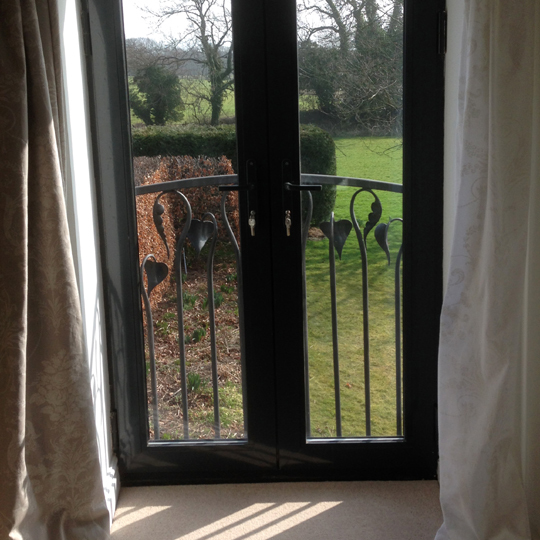 However, unlike a row of regimented upright bars, the balustrade still has an element of creativity to it. 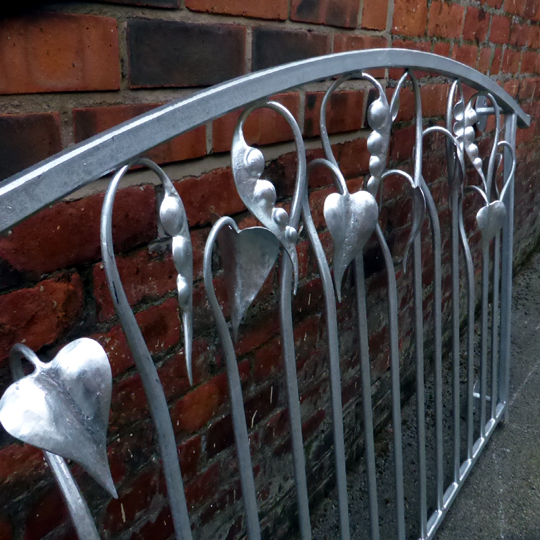 The large stylized leaves were made by first flattening the steel bars then hammering them to shape. 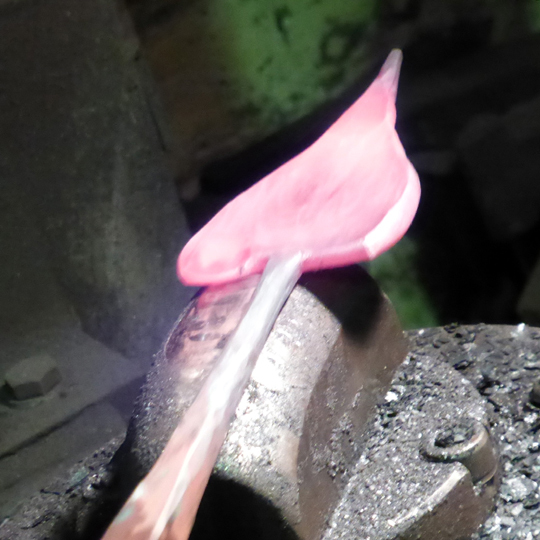 Traditional blacksmithing techniques were used to make contemporary metalwork giving the leaves an almost sculptural quality. 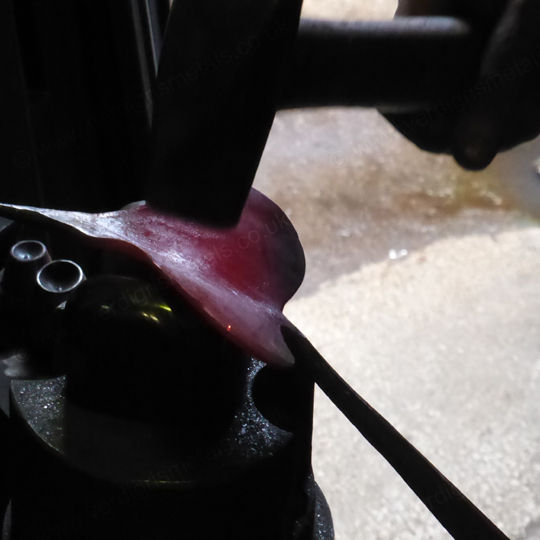 This is especially so when they are viewed from inside. 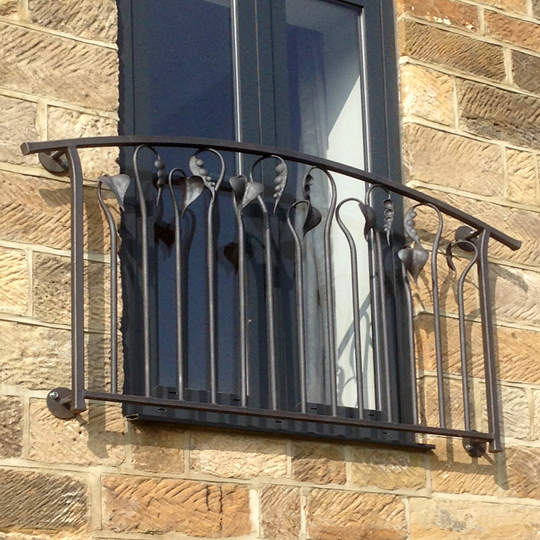 The balustrade was first galvanised to prevent rust then finished with a textured dark grey micaceous iron oxide paint.